Located in one of the most sought after locations in Old Oakville this charming home was built with the most discerning buyers taste in mind. Designed by Gren Weis and built in 2012, the classic center hall plan allows for large principal rooms while still featuring the modern layout conducive to today’s busy lifestyle. With over 5,600 total square feet of meticulously designed living space, this home leaves nothing to be desired. Full size living and dining rooms flank either side of the formal foyer. The rear span of the home features a top of the line kitchen, breakfast area and family room, all with unique design features. A special Muskoka Room is found off the family room fully wrapped with summer screens, or close it in for the winter using the custom-made windows, and enjoy the gas fireplace. 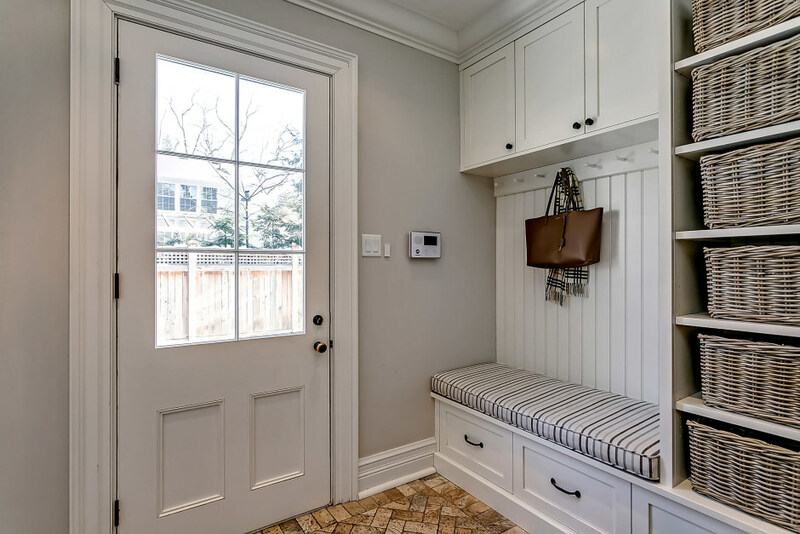 A main floor office, mud room and powder room finish off this level. The second level features a gorgeous master suite with spa like ensuite (with heated floors) and an oversized walk-in closet. Also found upstairs are two additional bedrooms, with generous closets and private ensuites (also with heated floors). The convenience of the large and very impressive second-floor laundry room will make everyday chores enjoyable. The lower level of this home comes with complete radiant heated floors and high ceilings making it cozy and very functional. The oversized recreation room opens into a current games or future home theatre. Two additional bedrooms, one with ensuite access, are also found here. 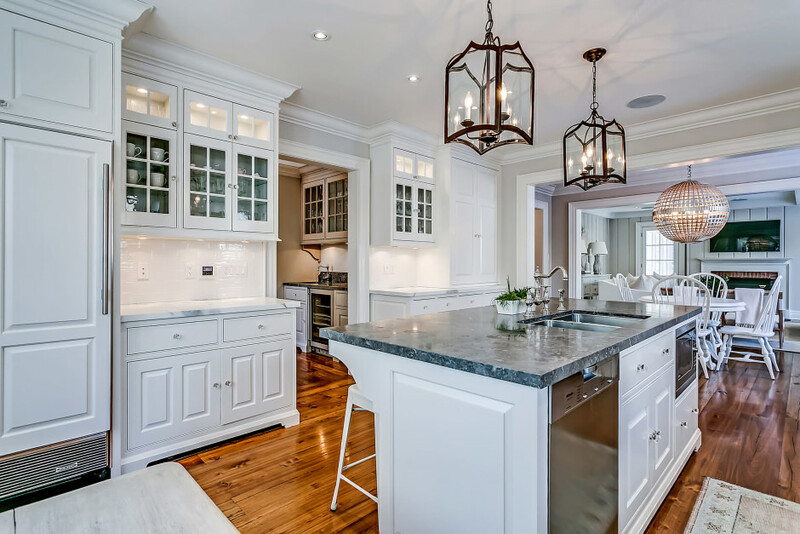 The interior features maintain the home’s architectural vision including: reclaimed antique flooring, beautiful millwork, honed granite countertops, customized cabinetry/hardware, and five fireplaces. 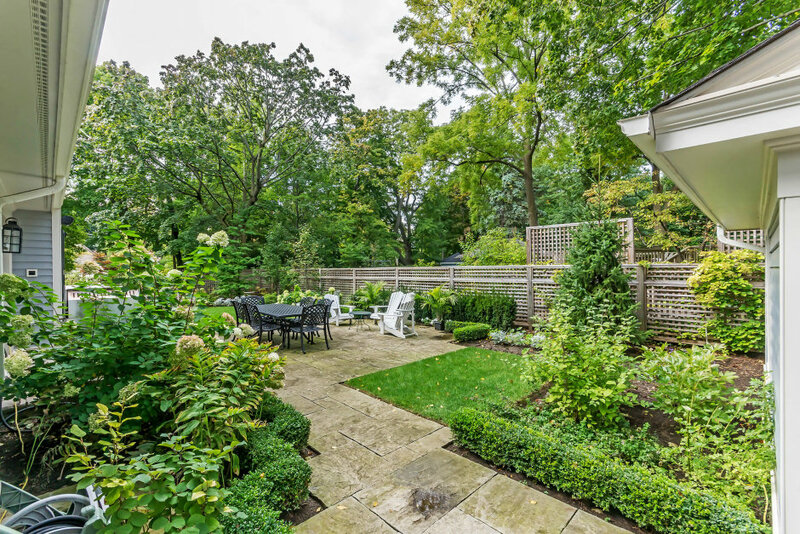 Christopher Campbell designed and landscaped, the low maintenance gardens feature extensive stonework and boxwoods throughout. Nestled beautifully south of Lakeshore this home is a rare offering for those who appreciate a warm living space with exquisite detail.